Julius Cecil Holmes (1899-1968) -- also known as Julius C. Holmes -- of Kansas. Born in Pleasanton, Linn County, Kansas, April 24, 1899. Served in the U.S. Army during World War I; Foreign Service officer; U.S. Vice Consul in Marseille, 1926; U.S. Consul General in Hong Kong, 1959-61; U.S. Ambassador to Iran, 1961-65. Died in 1968. Buried in Section 30 of Arlington National Cemetery. 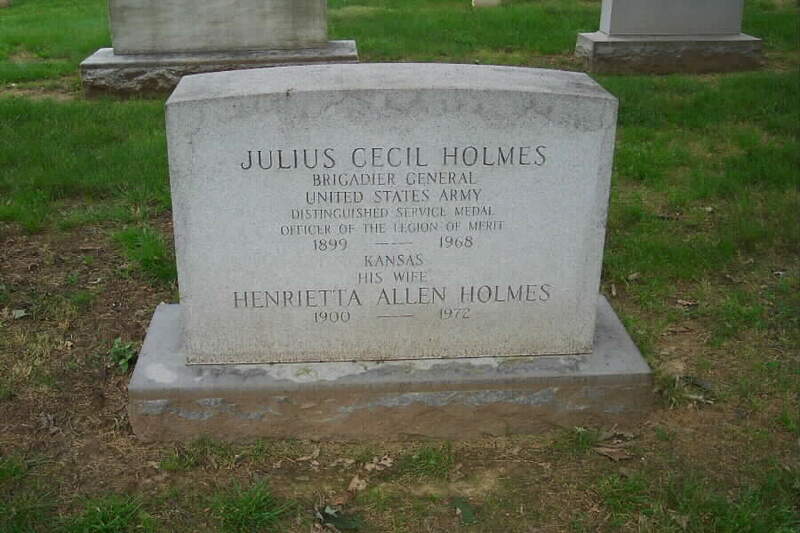 His wife, Henrietta Allen Holmes (1900-1972) is buried with him. Prescott Bush's scorn for the military is reflected in his promotion of Julius C. Holmes (CFR). Julius (CFR) worked in tandem with Alger Hiss (CFR) in the forming of the UN in San Francisco) in 1945 ... Julius bought oil tankers from the U.S. government. One was leased to the Soviet Union so they could carry petroleum from Rumania to the Chinese Communists who were killing Americans during the Korean war. 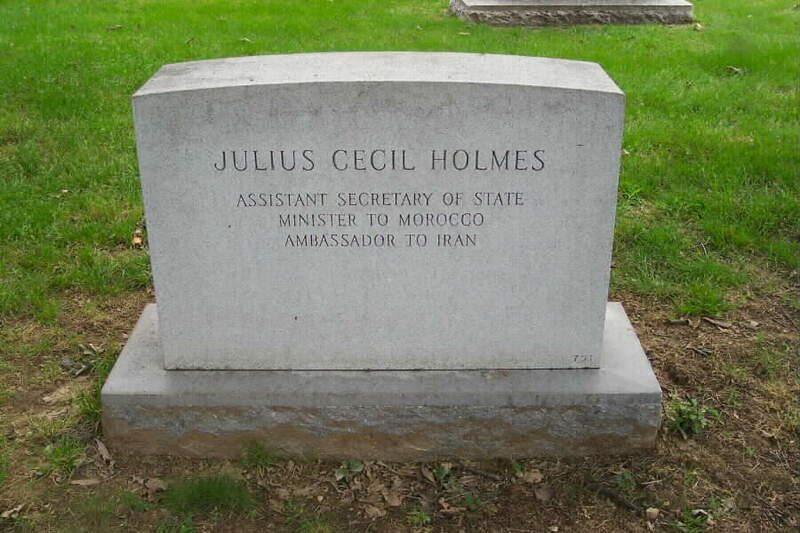 The Council on Foreign Relations President Henry Wriston wanted Julius Holmes appointed Ambassador to Iran. During the Senate debate Senator Prescott Bush (CFR) (Skull& Bones) pleaded with the U.S. Senate by quoting Wriston said "Julius Holmes was the ablest man in the Foreign Service Corp of the United States. Bush thumbed his nose at those who died and were wounded. The Bush family have long thought the Armed Forces are too damned dumb to know what is going on but should be willing to die for the New World Order.